Nathan Baldwin isn’t wasting any time since returning to the Canadian rodeo trail. The 2009 Wrangler Canadian Rodeo Tour tie-down roping champion was noticeably absent from the 2010 schedule until the May long weekend, when he arrived at the Luxton Pro Rodeo on the west coast and worked his way to the Cowtown Pro Rodeo in Maple Creek, Sask. Since then, the Idaho cowboy has competed in nine Canadian rodeos and placed at eight, and has rapidly worked his way into the top-10 in the Canadian tie-down standings. This past weekend alone, Baldwin claimed four cheques to help keep him going down the road and, in his hopes, all the way to the Canadian Finals Rodeo (CFR) in November. Those doing the math might be wondering how the tie-down roper managed to pick up four cheques at three rodeos. 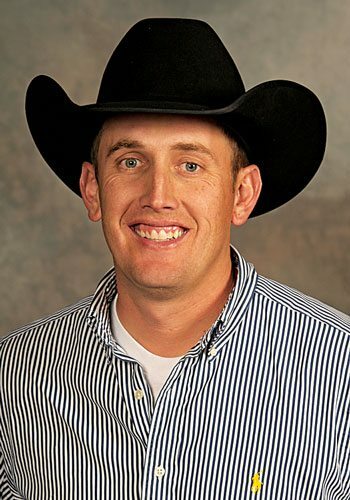 The fact of the matter is that Baldwin – who has focused solely on the tie-down roping since going pro in 1997 – has been testing his skills in another event: team roping. “Mark Nugent needed a partner in the team roping, so I filled in. And we placed. I thought if that was the case then I knew it had to be a lucky weekend,” he laughs. The pair placed fifth at the Lea Park Rodeo, which came with a $1,184 pay cheque. The roper also won $1,132 after placing sixth in the tie-down during that same performance. Baldwin previously filled in up at Grande Prairie, Alta. when Chad Johnson needed a partner. The pair split first at the Grande Prairie Stompede, and the 36-year-old cowboy admits he didn’t really think about it when they asked him to step up to the header position. “I just borrowed a rope and a horse and it worked out,” he relays, noting that some of the similarities between team roping and tie-down roping helped him transition, as well as the team roping he did when he was younger. “I team roped a lot growing up. My dad always calf roped, but we team roped a lot, my brothers and I,” he says, and adds that he’s been enjoying it so much he’s entered the event at the Daines Ranch Rodeo in Innisfail, Alta., which celebrates it’s 50th anniversary from June 16 to 20. “Although now that I’ve really started working on it, I think I’ve got worse at it,” he jokes. Baldwin’s other two cheques were also earned in Alberta. He split third in the tie-down roping at the Brooks Kinsmen Pro Rodeo in Brooks, Alta. with a 9.2-second run worth $1,187. He split first in Rocky Mountain House, Alta. with an 8.2 for $1,536. Please visit www.rodeocanada.com for the most up-to-date results and standings.